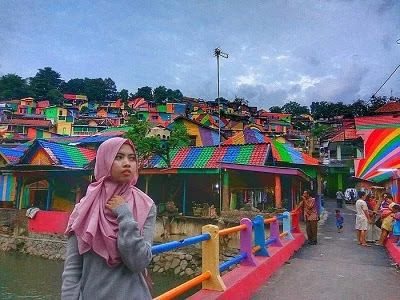 Seeing the colorful rainbows in the sky is rarely can we experience, but do not need to wait for the rain to stop, it's better to play to Rainbow Village. 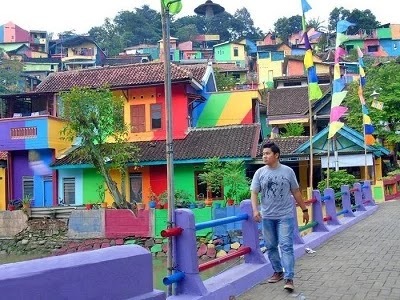 Rainbow Village is a small village in Semarang decorated with bright colors with unique designs, much different from the looks that once slum. Village located in the Village Randusari, South Semarang is originally named Wonosari Village. The location is not far from Tugu Muda and Lawang Sewu is in the South precisely on dr.Sutomo street. Before entering rainbow village, on the side of the road there is a Kalisari flower market that has been renovated and more organized. 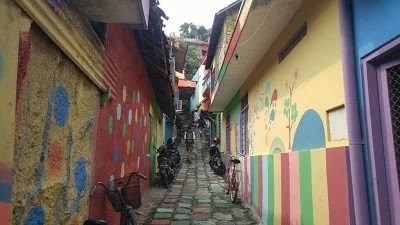 Various colors applied from the bridge to the village road which is a small alley. Not just the side of the house that is visible from the big roads are colorful. But the houses that are inside the hall are painted and even painted so it is quite exciting to browse it while taking pictures. 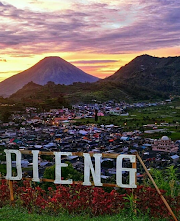 The initiative to change the face of this village came from Slamet Widodo, who is familiarly called Ndan Slawi, a headmaster in rainbow village. 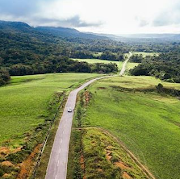 Ndan Slawi felt that the village atmosphere was in stark contrast to the nicely renovated flower market so it was proposed to make raibow village. 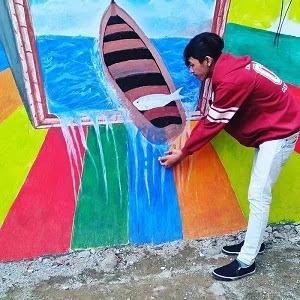 This proposal is approved by the local government and this painting was funded by the government with the help of CSR funds reached 2 billion rupiah. 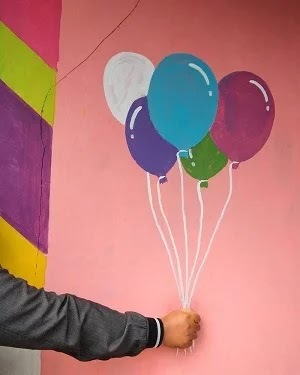 The idea of ​​painting a village with bright colors is inspired by villages in other areas that have applied it first. 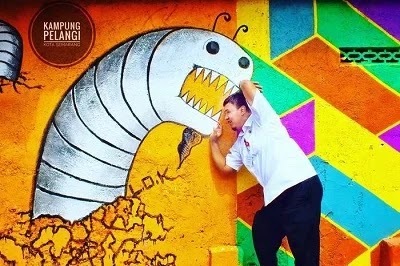 This painting project has already converted 232 houses in rainbow village into a work of art. 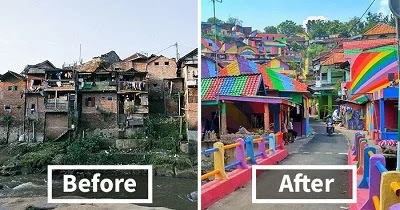 Changes in Rainbow village also increased public awareness to keep the village clean. In addition, with the many tourists who come to visit, local businessmen can also reap the benefits through the sale of souvenirs and food. 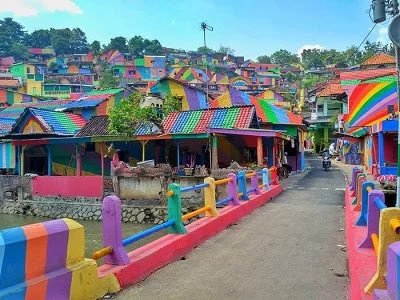 Although in some areas like Malang you can find a colorful village like this, but Rainbow Village Semarang have different characteristics. 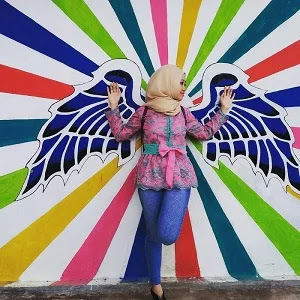 Because of its position on the cliff in the city center, if you go up to the top, you can see the view of Semarang City from above. 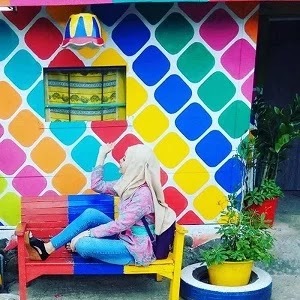 Increasingly another tourist place to visit in Semarang! 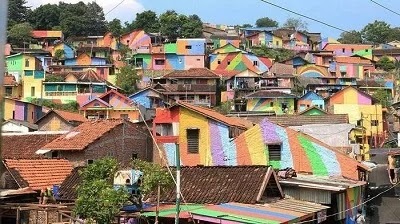 Let's Play to Rainbow Village! Note: photos for instagram can be really, but do not be damaged and littered yes!